A consistent practice of meditation will bring tremendous benefits to your life, including the ability to de-stress and relax at will, increase concentration and selective attention, and more. 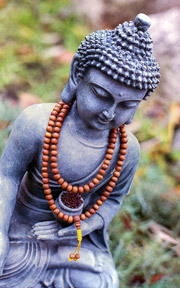 Whether you have had previous meditation experience and want to extend and deepen that experience, or you are a beginner exploring meditation to experience clarity and peacefulness, this class offers in-class guided meditations, Q&A, and discussions to clarify the underlying concepts that support the practice of meditation, to help you form and reinforce the mental habits conducive to a meditation practice. This class held off-campus in Mar Vista; directions provided upon registration. Please read: CLASS HELD OFF-CAMPUS IN MAR VISTA; directions provided upon registration.